Boardroom, Classroom, Auditorium and other Audio Visual solutions. High quality AV Solutions for business. 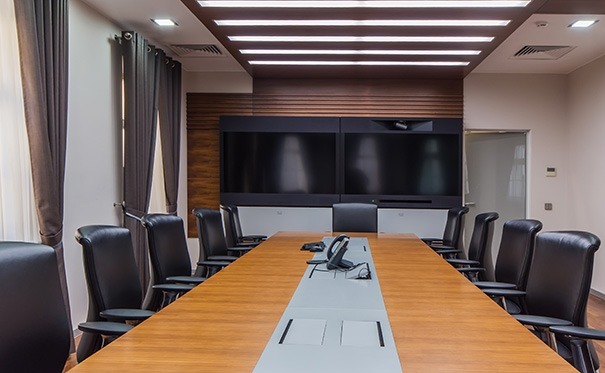 All Boardroom Audio Visual services and packages are installed by our professional team who work with you to get the best solution for your boardroom. Fixtel can install all audio visual equipment at your office during or after your normal business hours to minimise any disruption to your daily business. The end result will enhance productivity for business meetings and professional interactive presentations. We supply a wide range of fully integrated AV equipment to suit any office space including projection systems, sound systems and digital displays. We take care all of design and production requirements to suit your needs, whether that be for a corporate board room, conference room, classroom or auditorium. We can arrange finance to assist with you purchase of any AV solution for businesses of all sizes across Australia including, Brisbane, Sydney, Melbourne, Perth, Adelaide, Canberra, Hobart and Darwin.